"EnRICHment Strategies is a "can’t miss" investment for any company that is looking to increase sales or improve efficiencies. My company, as well as myself personally, started to see positive results from the minute I met Rich Nash of EnRICHment Strategies." Business in recent years has taken on many new and complex dimensions, and this trend is likely to continue. The field of sales has also seen some dramatic and far-reaching changes. Today's salesperson, as well as today's buyer, is better educated, more informed and has more options than ever before. These changes have created new, exciting and challenging possibilities in every organization. Sales Development is significantly different from sales training. In training, knowledge is transferred from one person to another. Development occurs only when knowledge is internalized, creating a behavioral change that leads to the expression of positive, results-oriented skills. Today's business is sales-driven and today's salesperson is a key link to success in business. One element that distinguishes profitable companies from the non-profitable companies is their ability to better develop their salespeople. The result is salespeople who sell because they want to excel, and succeed because they understand why and how to utilize their knowledge. The Sales Development process not only makes sales development possible, but eminently profitable. 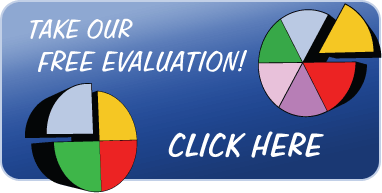 Please feel free to take a few minutes to do an assessment of where you stand now in both your personal and professional lives. As with all of our Coaching processes, the individual participant(s) determine the path required to get the results necessary for their success in their personal, their professional and their organizational components of their lives. A thorough discussion and investigation of where the individual wants and needs to take their lives, why they desire this specific long-term outcome, and what types of obstacles are getting in their way is conducted. The specifics of the Coaching process will then be tailored to meet those identified needs, those expected outcomes, and those particular obstacles. We go into each engagement with our clients with end results in mind. Therefore, while a general path to success is defined up front, other topics and discussions will take place as required for dealing with any obstacles that come up during the coaching engagement.